What’s the DEAL With the Mustaches?! Ok, is it me? Or has everyone in the wedding world gone facial-hair crazy? 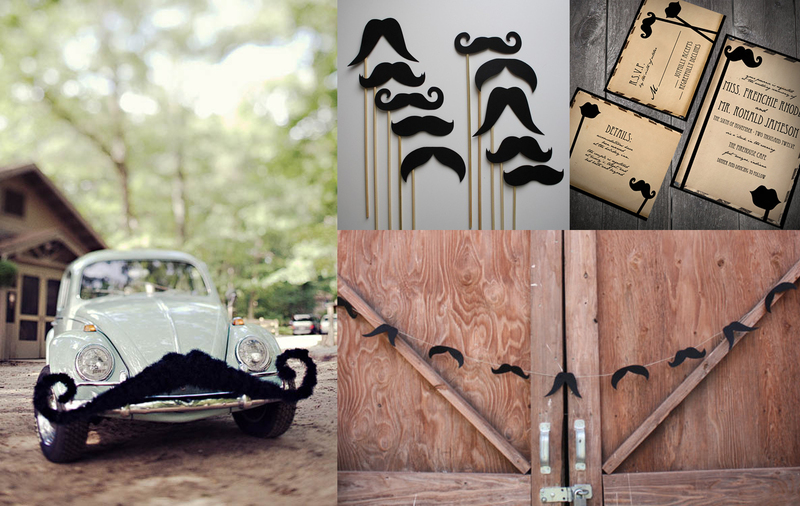 If you really wanted to have a mustache-themed wedding there is enough stuff out there for you to do so! I’m not a personal fan of the mustache in general. I love my man, and I can’t imagine him without a beard and stache, but at the same time, JUST a mustache looks a little comical to me. Who are you trying to be? Snidely Whiplash? I do have to admit, I was a little taken by some of the things. After all, you do have to giggle when you see a person holding up a silly mustache in a photobooth, but after you see 80 BILLION of them, it gets old. I think it just about time to either retire this trend, or keep it to a minimum. If you MUST have mustaches, keep them to your Photobooth (along with funny lips, glasses and hats), or maybe put them on your invites, but covering a whole wedding in mustaches? Why? 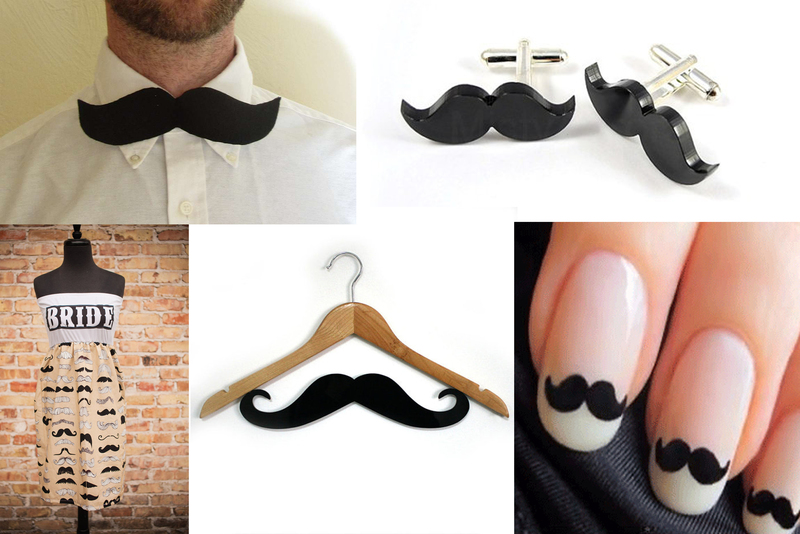 So in the spirit of you picking ONE aspect of your wedding to incorporate mustaches, I will provide a few ideas. Have a candy bar? 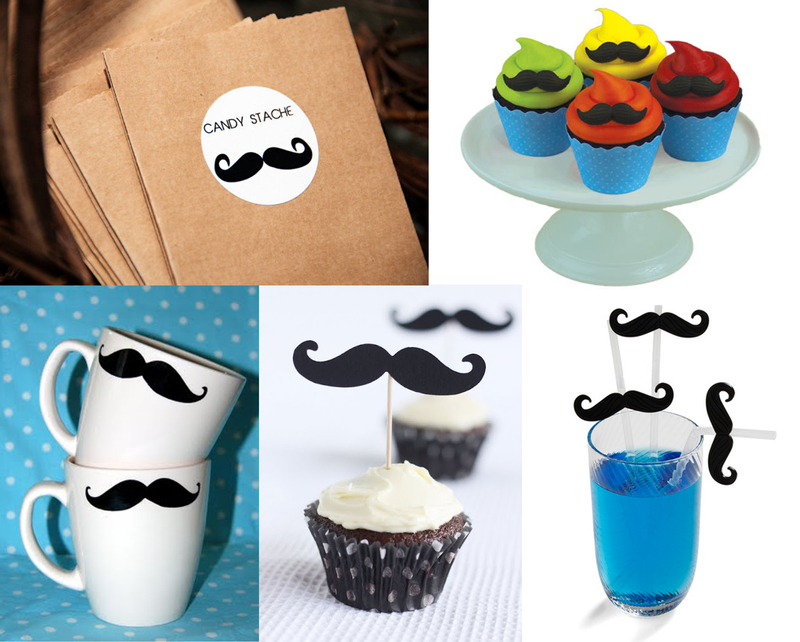 Make your guests “Stache” some candy. Personally I don’t want facial hair anywhere near my food or beverage, but to each his own I guess. Ok, I’m going to say it: I like the car. It’s funny, and at least it’s nothing we’ve seen before. So put all of these collages together and you have a mustache wedding…but don’t…please. Weddings are becoming to trendy for trendy’s sake. Everyone wants a new and exciting way to shock the wedding world, and then everyone jumps on the band wagon. And yes, I know this is coming from the girl who wants a DIY rustic barn wedding, but at least the little touches are significant to us. 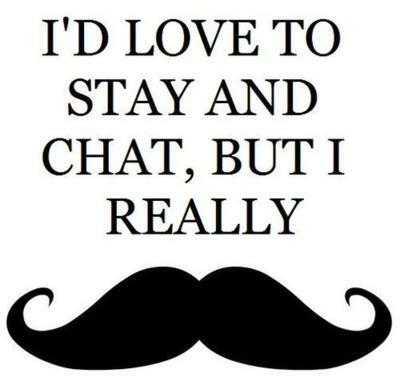 If mustaches are significant to you, then I (nor anyone else) would hold issue. But the band wagon isn’t always the place to be. Make your wedding unique to you, and maybe you’ll start your own trend, who knows? 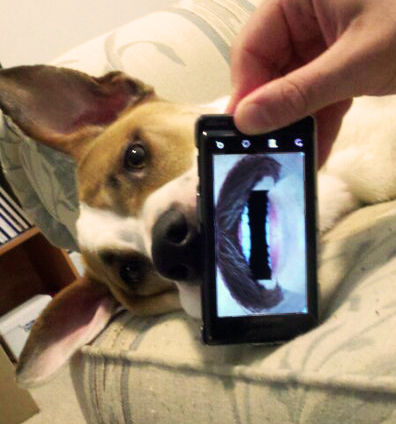 I especially love the puppy ‘stache! I think it suits him!